[...] we’re always looking to support new developer talent, so we’ve decided to waive the $99 publisher license fee for PlayStation Mobile, which means you can bring your games to PlayStation Vita or any PlayStation-certified device free of cost. Those of you who want to throw your hat into the ring of PlayStation Mobile development now have the perfect opportunity to place your game alongside popular titles like Haunt the House: Terrortown and Beats Slider. If you’ve been sitting on a gem of a mobile title, or found yourself with some extra time this summer, now’s the time to jump in! Starting on Tuesday, May 7th the Publisher License Fee for PlayStation Mobile will be waived. Such a move, however, sparks the obvious question: Should Apple do the same? As a reminder, the Cupertino, Calif. company charges would-be developers a similar $99 fee, which allows app makers to publish their work in the App Store. The removal of this charge would, of course, persuade amateur developers without the spare cash to take a chance and submit an application - an app that could, for all we know, be the next Angry Birds. It'll be interesting to see how Sony's move alters the dynamics of its PS Mobile store, and if more developers do come forward with impressive applications, as theorized. If so, Apple may indeed wish to consider removing its own $99 fee, though nevertheless this would still be an unlikely move. 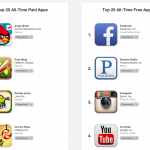 After all, developers have flocked to the App Store, since the widespread adoption of iDevices renders the platform perfect for game developers and publishers, even if a $99 license charge must be paid. What do you think? For further news, see: Facebook In Advanced Talks To Purchase GPS Service Waze For Up To $1 Billion, Following LinkedIn Acquisition, Pulse Gains LinkedIn Sharing Integration, and Get Inspired And Get Closer To Your Ideas With The Latest Update To Paper By FiftyThree. 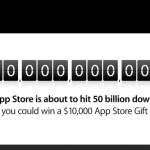 Is Apple About To Give You A $10,000 App Store Gift Card?